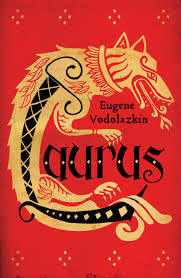 Laurus excels in its reflective imagery. Love is shown through loss; death through agelessness; words through silence; the human in the divine. In life’s extremities, Vodolazkin has found a subtle balance and uses it to impressive effect. None of the fox sisters would have a happy life. 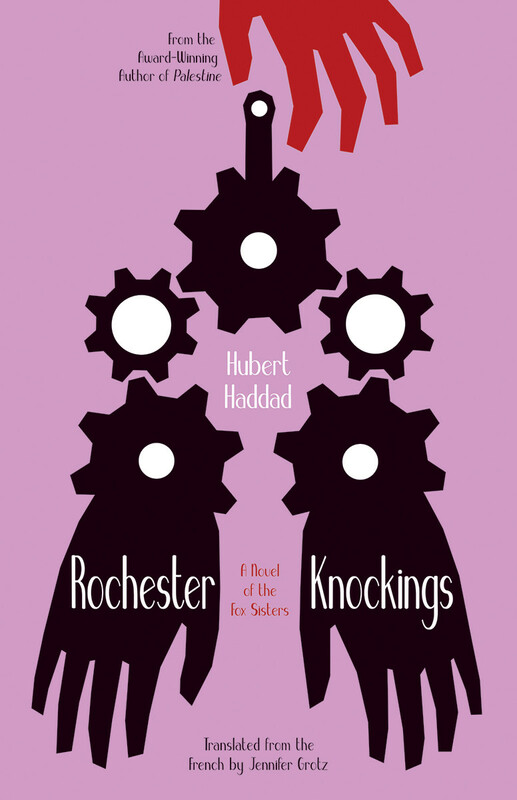 In Rochester Knockings, what begins as a ghost story takes a slow and hypnotic turn into the fictional biography of three sisters in Rochester of the 1800s, their rise to fame as mediums, their contribution to the movement of Modern Spiritualism, and their individual downfalls. The author, Hubert Haddad, presents an interpretation of the real life Fox Sisters, who in their old age revealed their traveling show of communication with the beyond to be a hoax. In his version, Kate, the youngest, truly is a medium, a sleepwalker living mostly in the world of the dead, who can nevertheless communicate with one single spirit, that of the previous inhabitant of the sisters’ childhood home. Margaret, a few years older, plays along, faking her way through the performances while making her slow but deliberate path toward alcoholism. Leah, the eldest sister, twenty years Margaret’s senior, manages the act, controlling her sisters’ careers while enjoying fame, fortune, and her status as founder of a spiritual movement. The novel’s lens expands and contracts from the minute farm life of the sisters to the landscape of 19th century America, with its cultured east and Wild West, its slave traders and abolitionists, and the Civil War, which nobody, ultimately, can make sense of. In a country haunted by so many deaths and the realization of the evil its people are capable of in life, the idea of a universe without hell, where the deceased remain with one foot firmly on this earth, communicating with their living loved ones, offers great comfort. While the Fox sisters live through financial and social success and destitution, brief periods of belovedness followed by loss and loneliness, and ultimate physical ruination, the only true ghosts to be found are those of African slaves and banished Native Americans, both dead and alive, roaming and reminding their white counterparts of a terror that still prevails. 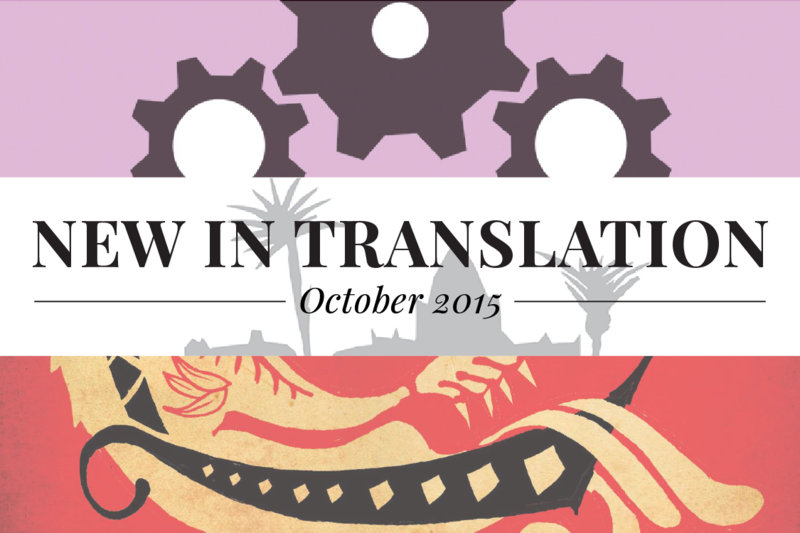 It takes a while to get into the language, inundated with other-worldly poetry and nebulous dialogue, but with time both Haddad’s prose and Jennifer Grotz’s translation from the French, scattering delicious word choices like quiet little gems throughout a spellbinding narrative, reveal themselves as gorgeous. By the end, I was swept into the almost inevitable collapse of social status, wealth, and hope. At under two hundred pages, Mofolo’s quasi-historical work combines the brevity of a familiar myth passed down with the power of a skilfully constructed narrative that in many ways echoes Shakespearean tragedy. The actual historical figure of Shaka Zulu is merely a starting point; Mofolo’s text is more concerned with the warped development of a tormented psyche. Indeed, Chaka is something of an early Freudian-psychoanalytical study of abandonment, masculinity, and power, overlayed with a moralistic didacticism almost certainly inherited from Mofolo’s missionary education. Chaka is born from the illicit union between a revered but ultimately weak-willed king, Senzangakhona, and a beautiful maiden, Nandi. Three boy children are subsequently born to wives superior to Nandi in the order of marriage. Senzangakhona refuses to declare the new order of succession of his sons, but, under pressure from his wives, banishes Chaka and Nandi to a village where they are ostracised. Chaka is constantly beaten by his peers, but learns to fight without fear. As a small boy, Chaka is given protective medicine, which makes him bold and aggressive. He is soon the leader of his age-mates. When Chaka’s half brothers, Mfokazana and Dingana, attack him in one of several plots to kill the young fighter, they are gravely wounded and Senzangakhona, bowing to pressure from his wives, orders Chaka’s death sentence. During his time in the wilderness, Chaka meets Isanusi, a witchdoctor. This is the turning point of the narrative, where Chaka chooses evil, revenge, and ultimately death, over life—although it is made clear that this is a result of him being abandoned by his father. Chaka’s sole purpose becomes to replace Senzangakhona; to become the mightiest king and warrior, later necessitated by his obligation to satisfy the bloodlust of the medicines he is given and the King of the Deep Pool—a powerfully magical water snake he encounters while bathing. The rest of the story follows Chaka’s rise as a warrior in Great King Dingiswayo’s army, his military brilliance, the development of a pathological need to kill without mercy, his descent into madness, and his ultimate demise at the hands of his half-brothers. Although Chaka is not so much at the interface of oral and written literature—it is definitely more literary than dialogic—it is, by virtue of being the first Sotho novel, one of the earliest (South) African narratives to incorporate both modes of storytelling. The oral technique of an omniscient narrator, who in this case often directly addresses the reader, reflects on what has happened or refers to events that will take place later on in the story co-occurs with a classical, even Biblical, narrative arc. Repetition and attendant (often circular) rhythm, and the isiZulu izibongo tradition in the form of praise poems and grandiose epithets enrich an essentially spare text. 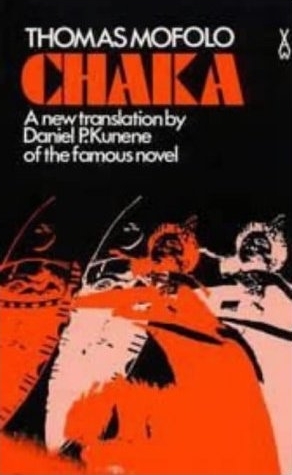 Kunene describes himself in the preface as a “cultural go-between.” The original text plays a similar role: Mofolo’s Chaka did not only create the template for the legend of Shaka Zulu, but influenced other African literatures as well, most notably Francophone African literature. In response to the wave of African independence and rise of African nationalism, Léopold Sédar Senghor’s 1951 poetic adaptation of Chaka casts the protagonist as an anti-colonial hero. Seydou Badian’s La Mort de Chaka (1961) is a political play based on Senghor’s adaptation, while Tchicaya U Tam’Si’s Le Zulu (1977) is a modernist retelling. “Chaka” even became an entry in the Dictionnaire de la négritude. The tensions between a pre-colonial history and the colonial moment in which the book was written further heighten the political and psychological friction at work in the narrative. But this has another function: the text prompts reflection regarding the future direction of (South) Africa. As he dies, Chaka says: “You are killing me in the hope that you will be kings when I am dead, whereas you are wrong, that is not the way it will be because umlungu, the white man, is coming, and it is he who will rule you, and you will be his servants.” This is perhaps also born from the bitterness of the author, who was initially refused publication; stripped of property in the 1936 Land Act, and died a broken man before he could see his opus gain acclaim. The reissue of Mofolo’s Chaka rekindles recognition of this intriguing text. It is not only the premier Sesotho novel, but had a significant role in cultivating an important transcultural and translational moment, putting African texts in dialogue, and leaving a legacy of new linguistic exchanges between African and European literatures. Ultimately though, Chaka is a reader’s text. The rhythm of the syntax (dutifully reproduced by Kunene); the dramatic tension and quick pace of the narrative; the finely-wrought characterisation of the great, tragic hero; the interweaving of the factual, the symbolic and the mythic; and the elegiac central thread—that human weakness is perhaps inevitable, but is magnified by guilt, loss, fear, and hubris—projects Chaka beyond the perimeters of its cultural and historical context, and causes the book to retain its relevance today.